Home Business - General Knowledge Why Trump Announces Presidential Medal of Freedom To Tiger Woods? US President Donald J. Trump has announced that he will award golfer Tiger Woods with the Presidential Medal of Freedom, America’s highest civilian honour. 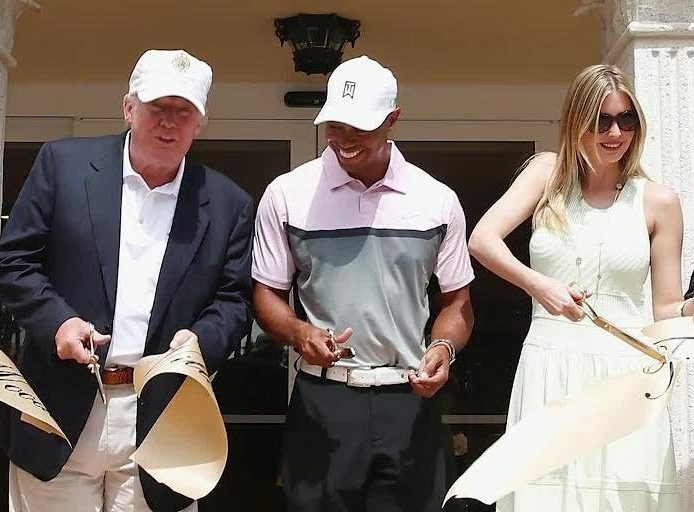 The President of United States Donald J. Trump on Monday (15th of April) announced that he will award golfer Tiger Woods with the Presidential Medal of Freedom, America’s highest civilian honour. The decision came after Tiger Woods won his 5th Masters title and 15th major title on Sunday, his first major win in 11 years. The Presidential Medal of Freedom is an award given by the President of the United States. It was established in 1963 by President John F. Kennedy, superseding the Medal of Freedom that was established by President Harry S. Truman in 1945 to honor civilian service during World War II. Next StoryPolitical Parties Used Poonam Kaur For Political Benefit? – She Said Yes!